Looking for piano sheet music for adult beginners? Here's your resource with recommended sheet music. Why not start building your own piano library today? Dive in and see what you like! Find your favorite piano sheet music in our online "library"! Here are tips about the best piano methods for adult beginners. These are my recommendations for the best supplementary piano books. The books that I use in my studio and that I recommend for a great progress. Beginner Piano Sheet Music to Supplement the Piano Method. Get free Christmas Piano Sheet music that's also easy to play, and check out my recommendations of the best Easy Christmas Piano Music Books for year after year enjoyment! Stock up on this collection of ever so popular pieces for piano. A great repertoire to memorize and have handy to play on basically any occasion! Here are the 10 top piano songs that have withstood the test of time. Beethoven's Fur Elise, one of the most popular piano pieces- ever! Scott Joplin's "The Entertainer" and other famous ragtime pieces here. A beautiful piece that although on an intermediate level, is relatively easy to learn. Print free sheet music and get tips on how to practice here. Here are selected resources with free Printable Sheet Music for Piano. This is a graded list with free printable classical sheet music for piano. Starting from level 1 and organized in Baroque, Classical and Romantic music for piano. All the pieces are for free! These are my recommendations of the best resources online with public domain sheet music. Best of all: It is all for free!!! Want to learn how to practice the Hanon exercises with great results? Here is a guide directed to adult beginners. 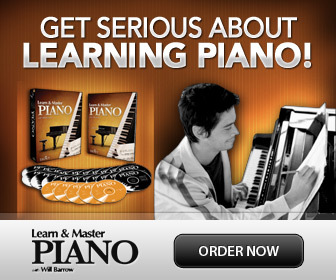 Here is a piano lesson about how to study this excellent piano "staple" of technical exercises. These finger exercises are great and can be studied also by beginners to improve finger agility and strength. Print it all for free! Here you can print free blank music sheets / music manuscript sheets for writing your own music!